McALLEN — Ryela Rodriguez was a tour de force at McAllen Rowe. Standing nearly 6 feet tall with good jumping ability and an instinct for the ball, she was an all-district volleyball performer who had the attention of plenty of small-school scouts. Like most high school athletes who want to play college ball, though, her thoughts were on Division I programs. That’s what most people talked about whenever the subject came up, Rodriguez said. The 5-foot-11 middle blocker wasn’t really aware of junior colleges or their programs. 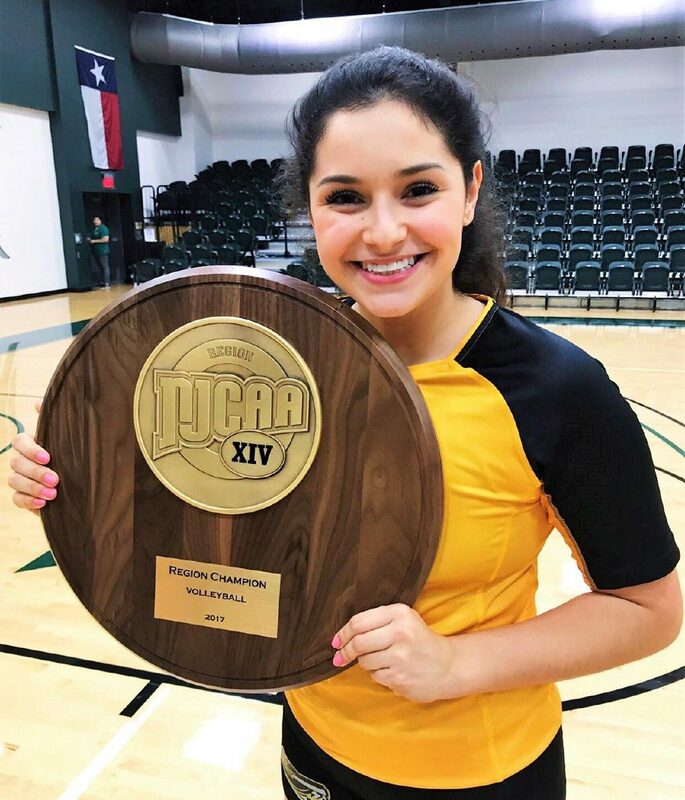 However, as time moved forward and her desire to play college volleyball became stronger, she was introduced to Tyler Junior College — a JUCO powerhouse in a variety of sports. The DIIs and DIIIs kept calling, but she felt really good about going to East Texas’ Piney Woods area to play for the Apaches at a two-year school. So, she worked with her family and club team coaches with the RGV Venom and went through the recruiting process — traveling and playing in tournaments everywhere she could to get on Tyler’s radar. Finally, Rodriguez got Tyler coaches to notice after they watched her play in person in Las Vegas. She was invited to make a campus visit. The 2017 season was not easy for Tyler, but the team learned from its early season losses and began a hot streak about two-thirds of the way through the year. Rodriguez and the apaches were 10-9 on Oct. 11. They then went on an 11-game winning streak, claimed a regional title and advanced to the NJCAA Volleyball Championship semifinals before losing. 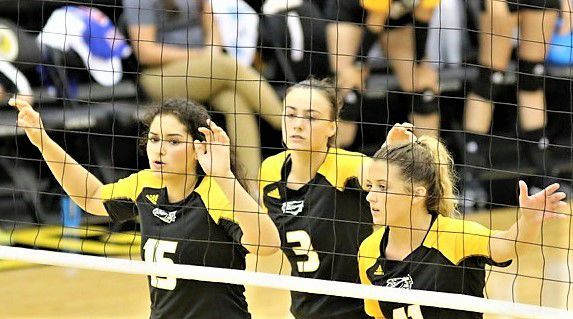 TJC ended up ranked fourth nationally, and Rodriguez, a team captain, was second on the team in blocks, averaging more than a block per set. In addition to performing well on the court, the sophomore has also done well outside the gym. Last spring, she won TJC’s Female Athlete Champion of Character Award and was elected Executive Vice President for the TJC Student Senate. The NJCAA named her to its national All-Academic third team last spring. 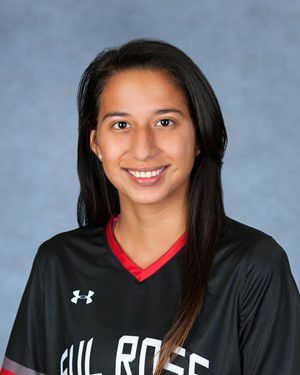 After the season, Rodriguez decided to end her collegiate volleyball career. She will move on from Tyler after the spring semester and focus on academics at Baylor or Texas A&M, she said. If you called David Anzaldua “Big man on campus,” you’d be correct. 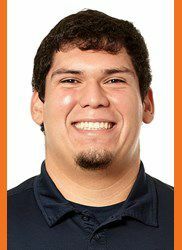 He’s the biggest guy on UT-San Antonio’s football team at 6-foot-6 and 340 pounds. The fourth-year junior — a Larry Coker recruit from 2014 — is also beginning to use his size to his advantage. Anzaldua, a former all-state selection from Edinburg North, played in 12 games last year, mostly on special teams. But in eight games in 2017, he worked himself into a heavy rotation for the Roadrunners’ O-line. He logged lots of time at guard in victories over Rice and UTEP and a loss to North Texas. During UTSA’s final game, Anzaldua was listed as a second-team guard, behind only a senior. 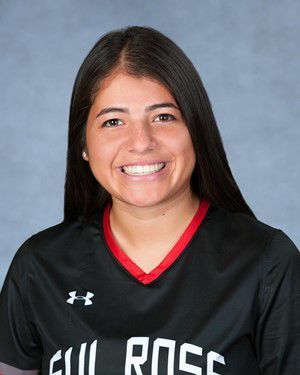 Krysta Armstrong didn’t score a lot of goals for Sul Ross State University, but the freshman from Edinburg Economedes got plenty of playing time for the Lobos. Armstrong, a 5-foot-7 midfielder, played an average of 37 minutes in 16 games. The former two-time district MVP scored one goal on 18 shots on target. 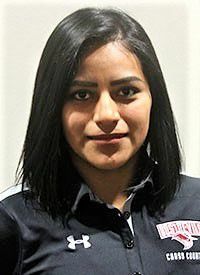 Armstrong’s Economedes teammate at Sul Ross, Ayssa Ozuna, a 5-foot-4 forward for the 8-7-1 Lobos, played 289 minutes and did not score any goals. Ozuna was a three-time all-district and two-time district offensive MVP selection at Economedes. Division III Sul Ross State, in Alpine near Texas’ Big Bend National Park, plays in the American Southwest Conference. Mireya Zarazua, a former all-state qualifier and all-district runner from Grulla, has been a steady performer for Texas A&M-International in Laredo the last three years. The cross country runner marked a season-best 25 minutes, 34.5 seconds and a 41st-place finish (among 82) in the 6,000-meter run at the Heartland Conference Championships last fall. The junior systems engineering major also did well as a sophomore in 2016, placing 35th with a personal record 24:19.6 at the conference meet and helping the Dustdevils to fifth-place finish. At Grulla, Zarazua lettered in track for four years, ran cross country and played soccer, serving as a captain for three years.